Photokina 2010 had some incredibly exciting camera announcements, the Fuji X100, the Sony A33 and A55 with their Translucent Mirror Technology and the Nikon D7000, a successor for the D90 which two years prior had launched as the first DSLR to shoot video. The Nikon D7000 marks Nikon’s move into the world of 1080 HD video in the more popular H.264 format rather than MPEG4 and set a new standard for autofocus video in conventional DSLR cameras. As they say in the informercials “that’s not all”. The D7000 has a weather sealed body protecting it from dust and moisture. It has two SD card slots just like the top end models feature dual Compact Flash card slots. On top of this they have deployed their top end focusing system in the D7000 as well. 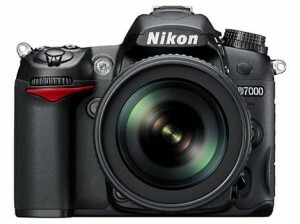 The D7000 holds true to much of Nikon’s pro body DNA just in a more compact body. I personally enjoyed the user experience possibly more than I have any other Nikon since the digital revolution began. Autofocus on the D7000 is fast and very efficient and the camera felt at home whether it was in the studio or in the field. Image quality was also fantastic with amazingly low levels of noise and great metering. In the end, the Nikon D7000 is the serious shooters camera, a true wolf in sheep’s clothing. When you think that it launched at the same price the Nikon D90 did two years before, it is incredible to see how much more you are getting for your money in the D7000. In fact you could argue that Nikon have put their own, more expensive D300s on early retirement with the D7000. I find little reason to spend more for the older D300s when in so many aspects the D7000 is superior, and the money you save can go to lenses. Looking at the comeptition for the D7000 makes for an interesting discussion. The Canon EOS 60D would be a light step down in build quality though you are paying a little less for it as well. The Sony A55 is more consumer orientated offering an easier to use video mode with arguably better autofocus but lacking the control for the more serious videographer and only having an upper hand in still images by offering 10 frames per second continuous shooting. That would really leave only one camera that comes close, the Pentax K-5. That’s a tough one but while Armani, our editor, is not standing nearby I must say, the thing that would swing me to the Nikon more than any other differing feature – which are not that many – would be the dual SD card slot. What ever way you look at the D7000 it’s a great buy.